Be ready for whatever battles may befall you on your journey with the Brown Sword Frog. This right handed leather sword frog holds your favorite LARP weapon securely at your side, suspended from your favorite medieval belt. Handcrafted from high quality leather, the front loop of this sword carrier is thin, adjustable, and can be opened completely, fastened with a brass buckle. The closed back loop is wider for stability and brass rivets reinforce its structure. 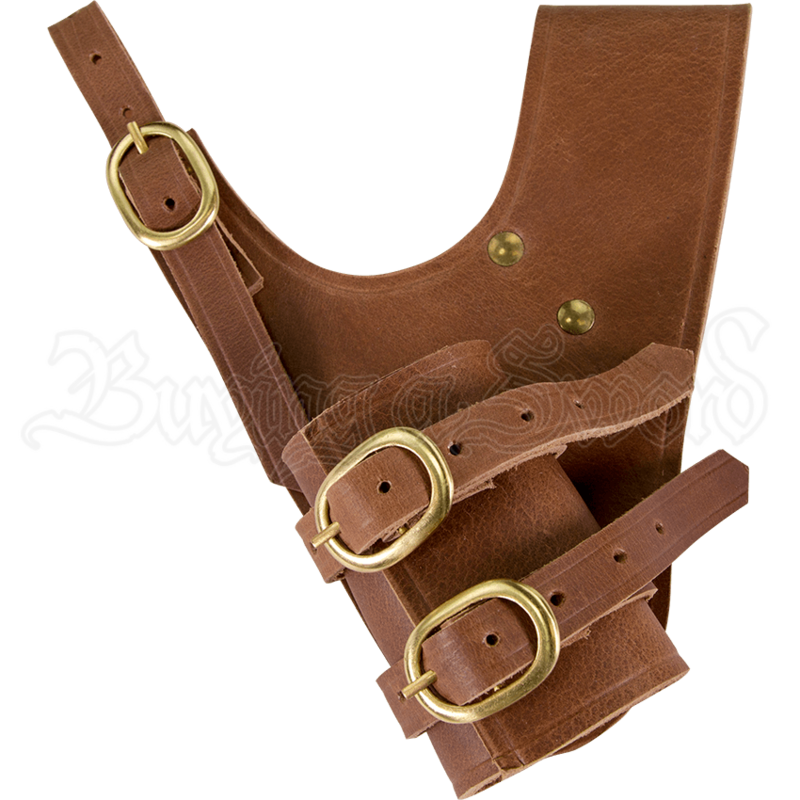 Twin adjustable, brass buckled straps keep the blade of your LARP sword held tight. This medieval fantasy sword frog sits over the left hip and is drawn with the right hand. For knights, rogues, pirates, and all other daring adventurers, this versatile leather LARP sword holder is the perfect choice.